I ended up purchasing the Nars Creamy Concealer in the shade Biscuit as this is a product I've wanted to try for absolutely ages, the Nars Sheer Glow foundation in Barcelona which is my perfect match and a gorgeous blush in the shade South Beach which is just the most gorgeous color. 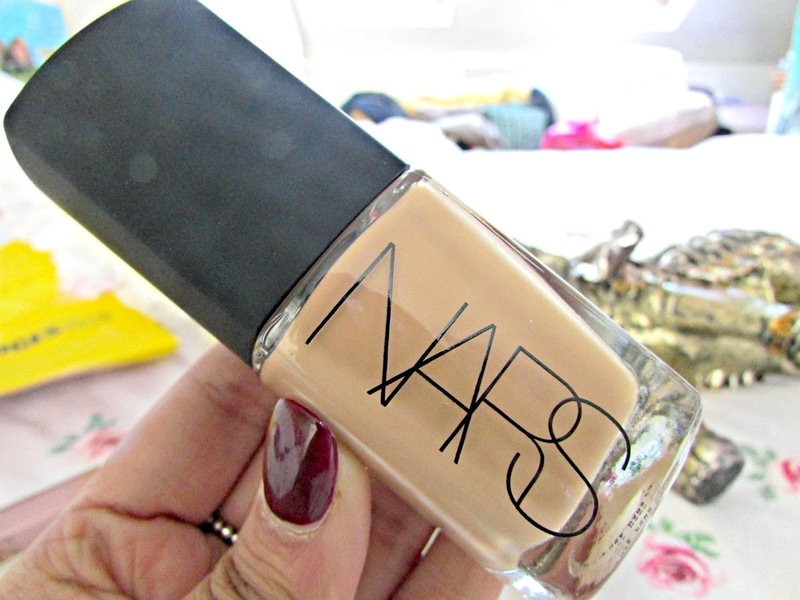 I also managed to get the pump for the foundation which is 100% needed when you by the nars sheer glow foundation. Keep reading to find out my thoughts on each product. First up is the Nars Radiant Creamy Concealer in the shade Biscuit and I'm so glad I finally purchased it as it is just absolutely incredible. The first thing I have to say about this foundation is that it is a peach toned concealer. I absolutely love peach toned concealers as not only are they a perfect match for my skin tone as well as darker skin tones but also the fact that they color correct and get rid of all those horrible dark circles under my eyes. It really does leave me under eye area looking a lot more refreshed and brighter which is something that is super important as I hate having dark eyes or circles. 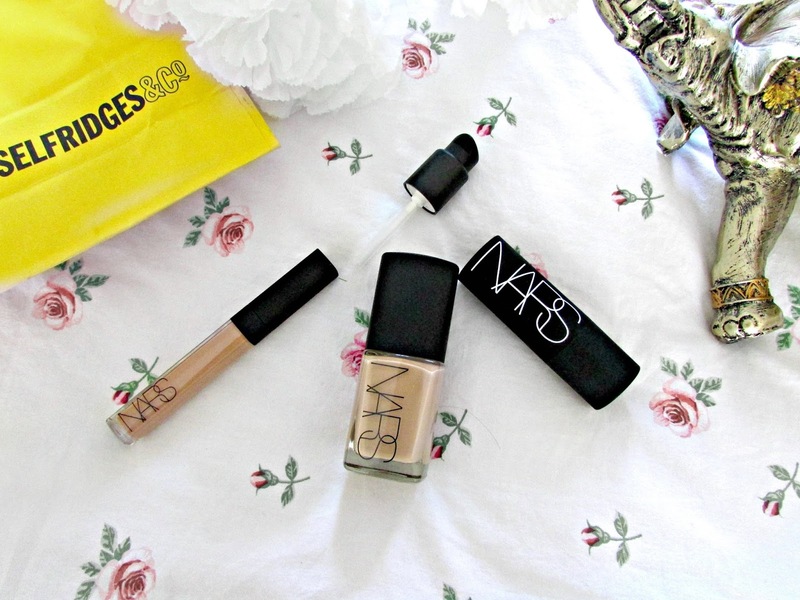 The coverage of this foundation is medium to high coverage and is super buildable as well. It doesn't look or feel cakey under the eye at all. I have dry skin and because the texture of this was super creamy I was a bit worried it would look patchy under the eyes. However if you moisturise well before hand or use a good primer then you'll be fine. I've honestly had no problems with this and would recommend it to anyone. 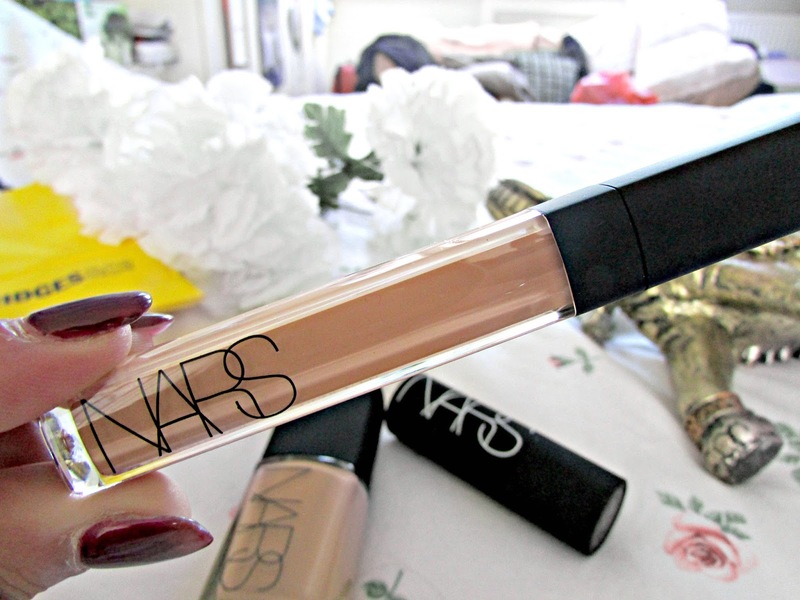 Next up is a product I've spoken about in the past and that is the Nars Sheer Glow foundation in the shade Barcelona which is part of their medium collection and is also one of my all time favorite foundations even if this is the second bottle I've purchased. It's just amazing. 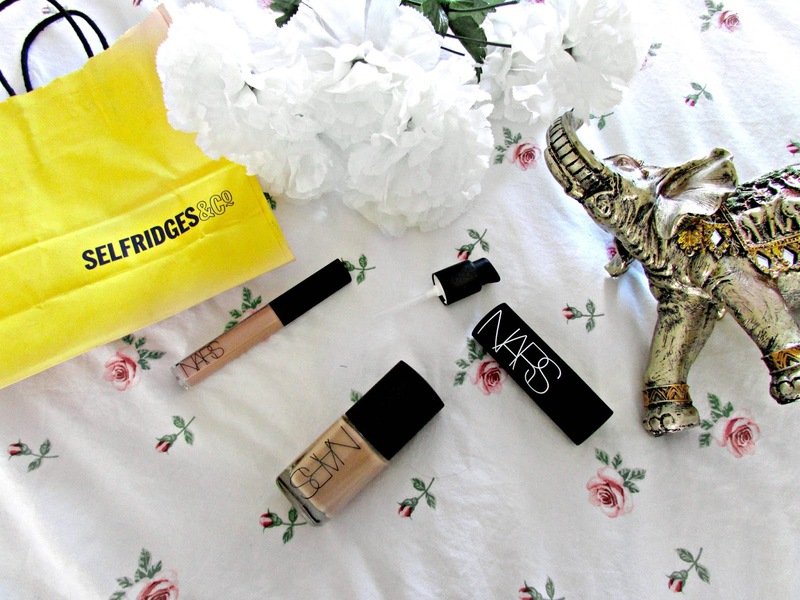 The first thing that I absolutely love about this foundation is the packaging. I think it just looks so incredible sleek and pretty sat on my dressing table. The foundation itself is pretty incredible. It's a full coverage foundation and it just blends into my skin tone perfectly. Even though the name is sheer glow I actually find the coverage not too dewy but not too matte either. When I apply this foundation I notice that it makes my skin look a lot more radiant and hydrated. This is due to the antioxidents within the foundation that are there to improve the look and condition of the skin. I absolutely love this foundation and always get a ton of compliments when I wear it however because it's so expensive it is not something that I want to use on an everyday basis, I'll just save it for special occasions but it is definitely another product that I would recommend to anyone. One thing I love now is that the pump actually comes free with the foundation. 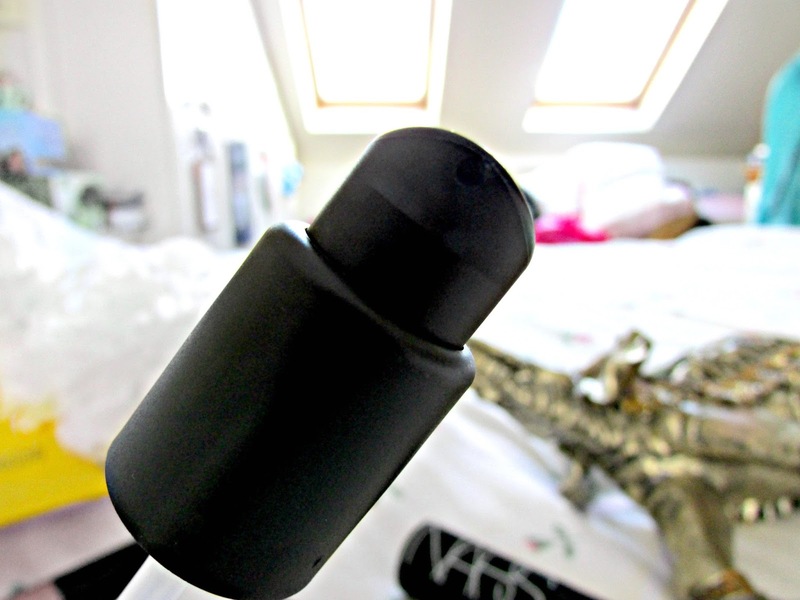 I think before you had to pay like £3.00 or something for it and it was something that was putting a lot of people off buying it so Nars have finally listened to the cry of their customers and decided to include the pump in the price which is amazing. The only downside of this is that when you put the pump in you can no longer use the lid that comes with the foundation originally. The pump does lock if you turn it slightly to the left so if you put it in your make up bag you don't have to worry about it accidentally spilling everywhere in your bag. It's extremely handy to have that little lock on it however you can always keep this seperate when you travel and just have the lid on the bottle which may appear a lot easier. Next up is a gorgeous blush in the shade South Beach. I absolutely love this blush. I struggle with blushes quite a lot as I can never find a color that really suits my skintone however thanks to the sales assistant who persuaded me to purchase this particular shade I no longer feel worried about applying blush. It reminds me a lot of sleek's rose gold blush in terms of the color. It's one of the few colors in the world that I find suits my skintone. I find a little goes a long way with this blush as it is very highly pigmented but just looks so incredibly beautiful on the cheeky bones and around the temples. 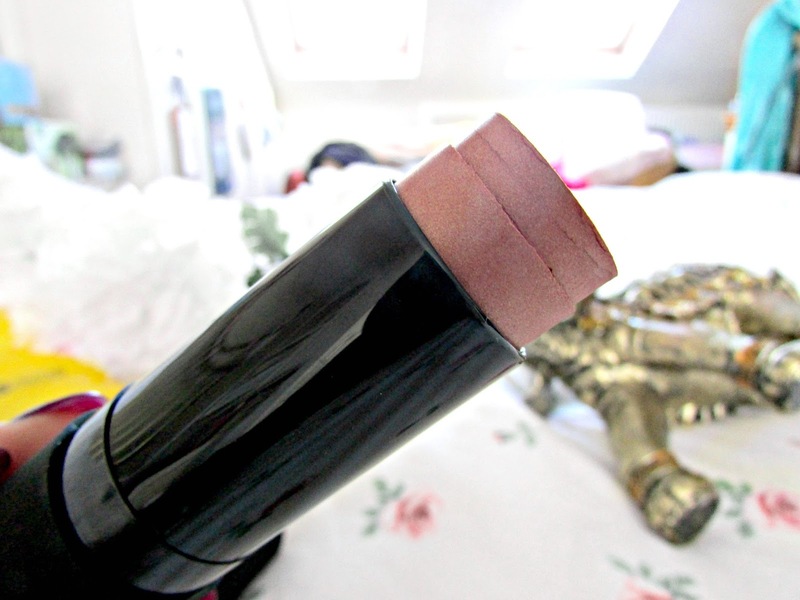 One thing I love about this blush is that it is a muti-purpose stick. You can use it on your face, lips and eyes which is something I absolutley love about it. Another thing I absolutely love about this is the fact that you don't have to use a brush for it. You can just use your fingers which I know can be looked down on in the beauty community but I think it's a lot easier to just use your fingers with this type of product as you can just sweep it across your eyes, face and lips. It makes it easier to touch up throughout the day as well. I think this product will work well for everyone and the color will suit most skintones. Overall, even though Nars are not the cheapest beauty brand in the whole world they are definitely slowly becoming one of my favorite brands ever. I think their products are such good quality and the customer service is just amazing. If you're interested in any of these products then just head on over to the Nars Website HERE in order to find the three products mentioned here as well as browsing their entire collection of other amazing prodicts. If you're an avid Nars user and have used any of the products I've mentioned then be sure to let me know what your favorite one is. 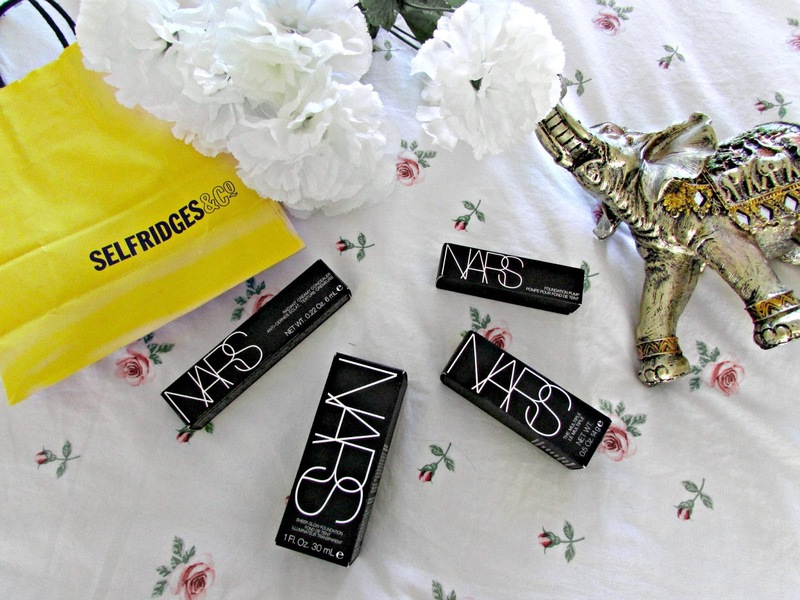 What are your favorite Nars Products of all time?